A "typical" day in Odyssey? Since when?! Imagine a real live knight showing up at Whit's End. Or Rodney Rathbone fronting a rock band - or Eugene banging the gavel as a court judge. It does stagger the imagination. 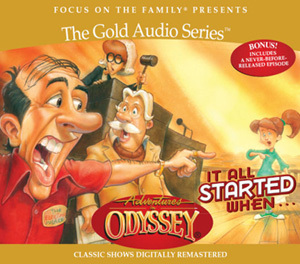 But remember, the setting is Odyssey - the town where anything that can happen, usually does! Join Whit and the kids as they learn valuable lessons about honesty, purity, loyalty and other attribute. When Rodney Rathbone and the Bones start a band, parents in Odyssey are livid about the lyrics of his songs. Isaac Morton is on a quest to be pure.. but to do so requires him to remove everything in his life that he feels makes him unpure. 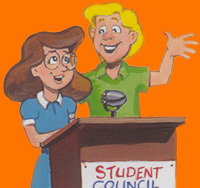 After seeing that Curt is running unopposed in a student council campaign, Lucy decides to run a campaign based on integrity. Three tales of moderation help Connie understand why it's best not to have or want too many "things" in your life. It's a light-hearted look at the folly of materialism! When Isaac steps out of the Imagination Station, Sir William of Marshall follows him! Isaac shows the knight around town, while Whit and Eugene try to figure out how to send Sir William back. Lucy helps a new girl make a few friends and in the process discovers Emily's talent for writing. But when Emily lets her popularity go to her head, she forgets about Lucy. Bernard Walton recalls his Middle School days when he was a school crossing guard - and the trouble he had facing up to several bullies who refused to obey the rules. Join Bernard for this humorous look at the importance of conscientiousness! Whit tells the story of an American in the small country of Muldavia who took the place of the prince for a few days. Robyn must decide between lying to her parents and going to a party that isn't chaperoned by adults. Robyn soon realizes the value of true courage. Rodney has a hard time getting everyone to believe him when he knows about a plot to rob Odyssey families. George disagrees with Donna's choice of clothing, thinking it is too immodest.